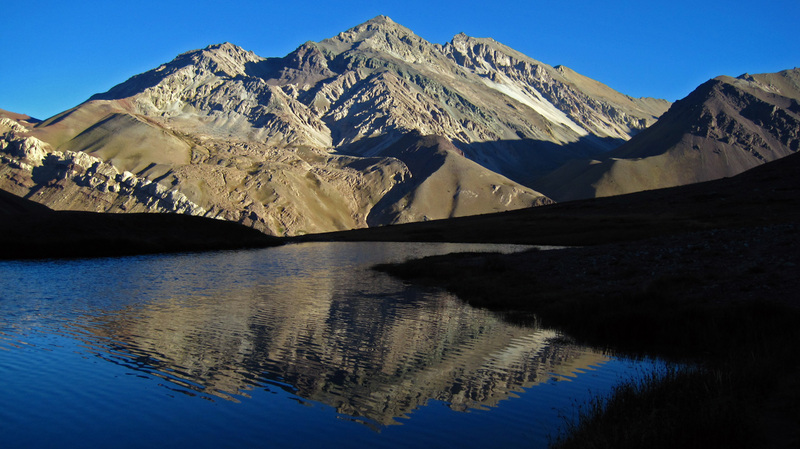 The beautiful Andean mountains and lakes. We bid farewell to our friends in Patagonia as they boarded their flight home. We were a bit jealous since we weren’t looking forward to taking a 48-hour bus all the way up to Bariloche in the Lake District of Argentina. Luck was on our side – we were able to find a flight leaving that same day to Bariloche, for only a little bit more money than taking the bus. Sign us up! Considering we had just finished an action-packed two weeks in Patagonia, we were ready to lay low for a while and try to fight off our lingering colds. 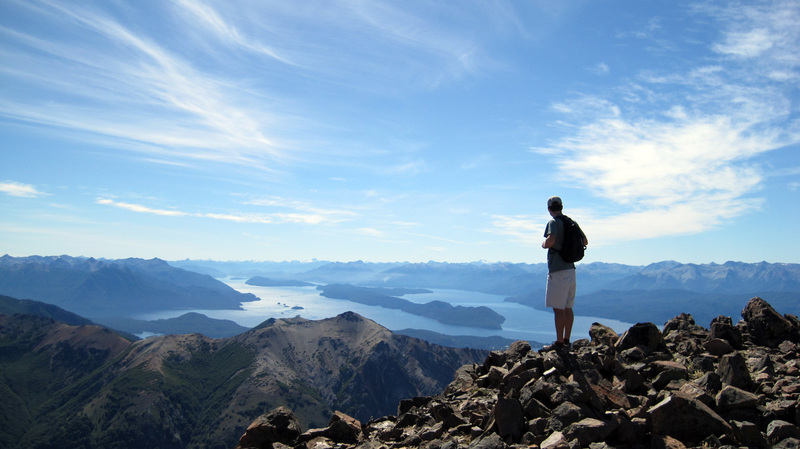 We were happy to stroll along the Nahuel Huapi lake bordering Bariloche, take in the stone and wood architecture à la Switzerland (Bariloche becomes a popular skiing base in the winter), soak in the warmer weather and eat the world-famous chocolate and ice-cream. 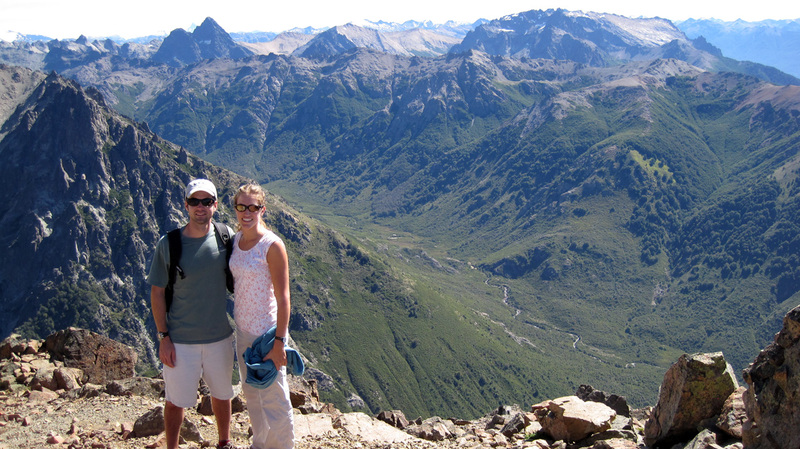 Of course Bariloche is also known for its wonderful hiking opportunities, so we couldn’t very well pass that up. 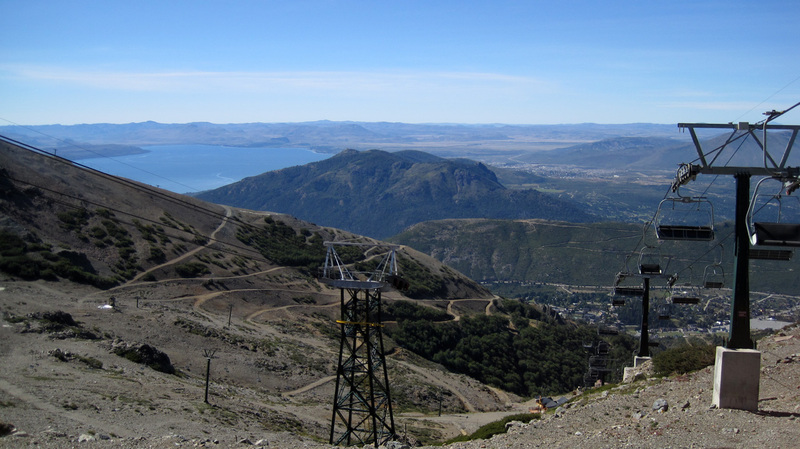 To ease back into it, we made our way to Mount Cathedral – a major skiing resort in the winter – and instead of climbing up, we took a cable car and chair lift up to the top. There we found a restaurant with a spacious terrace perfect for sunning, drinking a few beers and admiring the views of the lake district below. 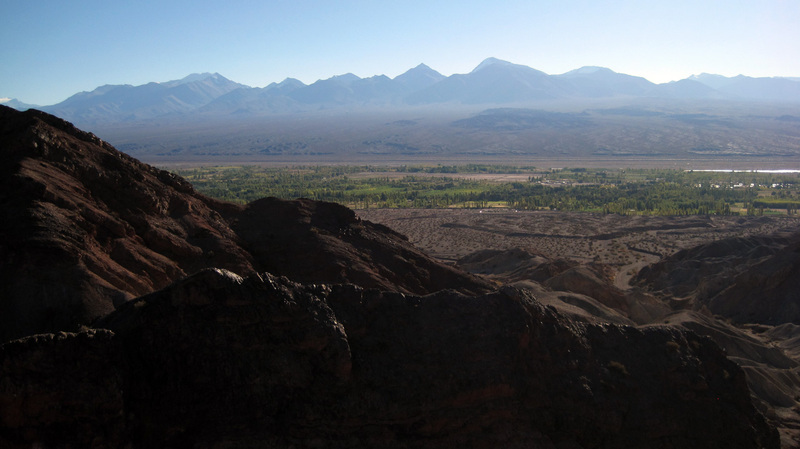 We did climb along the ridge for a little while to get a better perspective on the mountain range acting as a border between Argentina and Chile. The chair lift up to Cathedral. 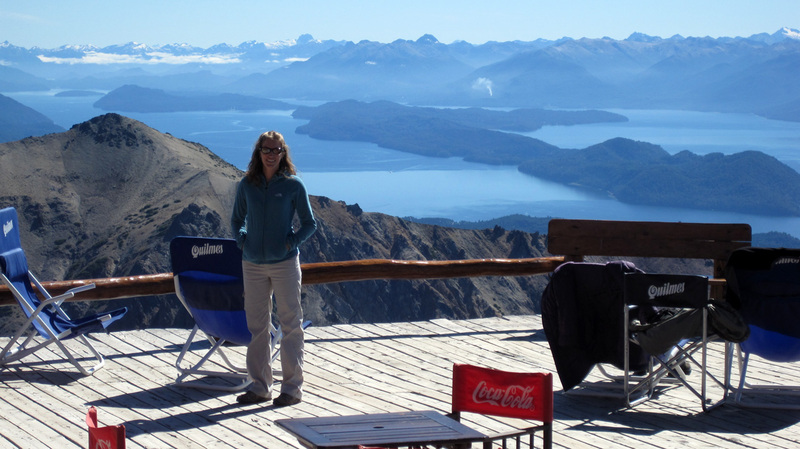 On the terrace of the mountain-top restaurant in Bariloche. The Andes of Bariloche looking towards Chile. That’s why they call it the Lake District. 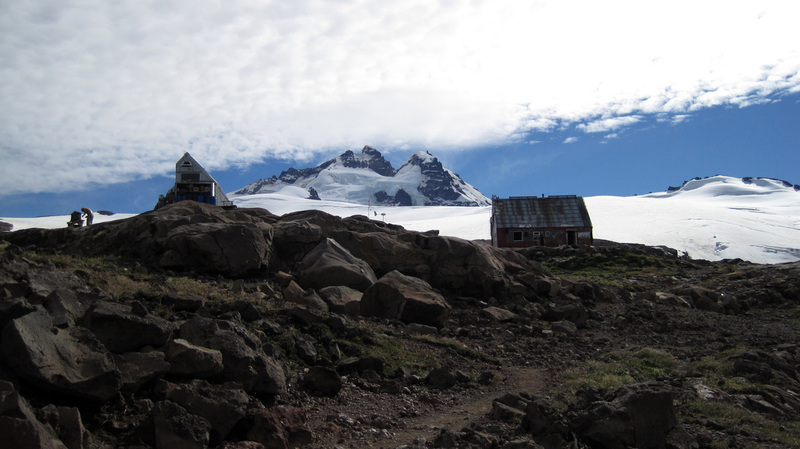 Once we felt a bit better, we decided to commit to a 2-day trek and spend the night at the refugio on Mount Tronador, an extinct volcano hosting a total of 8 glaciers. As we were climbing up, we passed the manager of the refugio who had been paragliding above the glacier and valley for 2 hours and had just landed in a (rather small) patch of grass and was heading back to the refugio. Not a bad life. 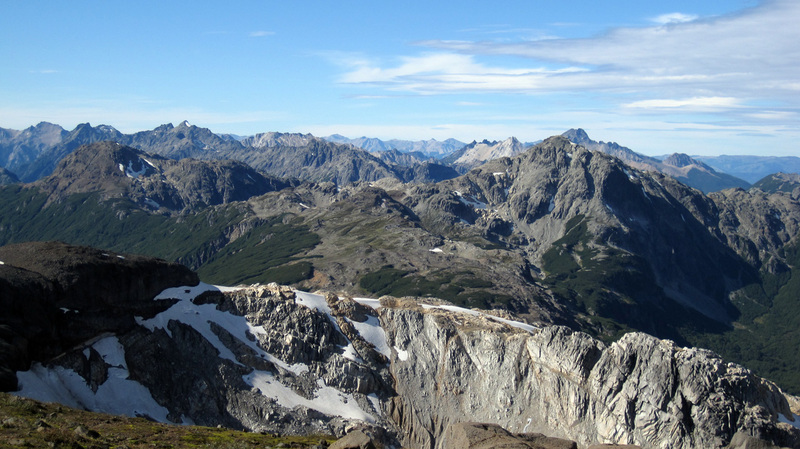 We trekked a total of 9 miles up 3,500 vertical feet until we reached the Otto Meiling refuge, a well-organized complex that we found also doubled as a gourmet restaurant. 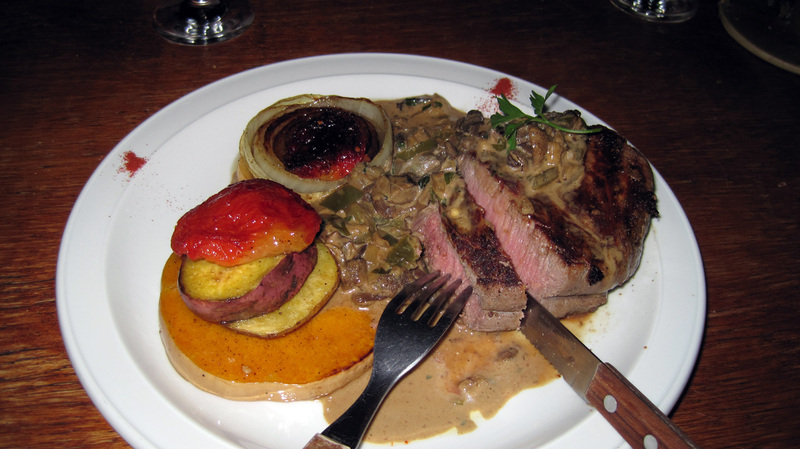 We hadn’t brought up food with us, so we bought dinner at the refugio – tenderloin steak with mushroom sauce and grilled vegetables – very fancy for a refuge and one of the most delicious meals we’ve had on our trip so far! Right behind the refuge, a slew of Argentinean soldiers had set up camp for 2 months to train for their post in Antarctica. 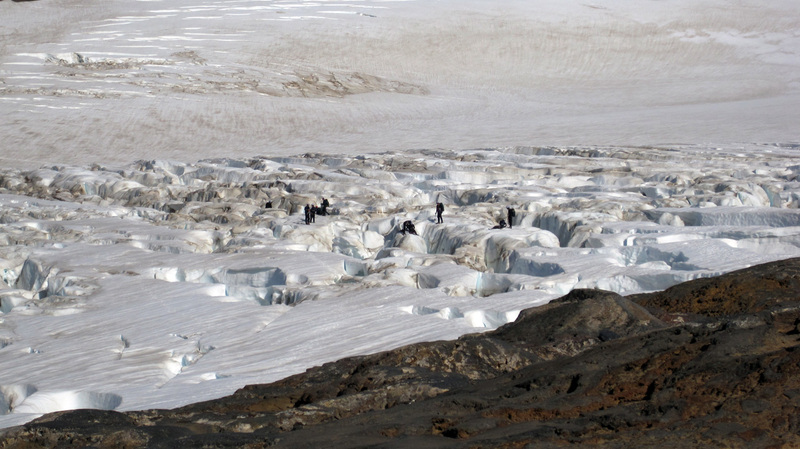 They were doing rappelling and ice climbing exercises within the crevasses of the glacier. We struck up a conversation with one of the instructors who told us about life in Antarctica (for every scientist there, they need an 8-man team for support!). 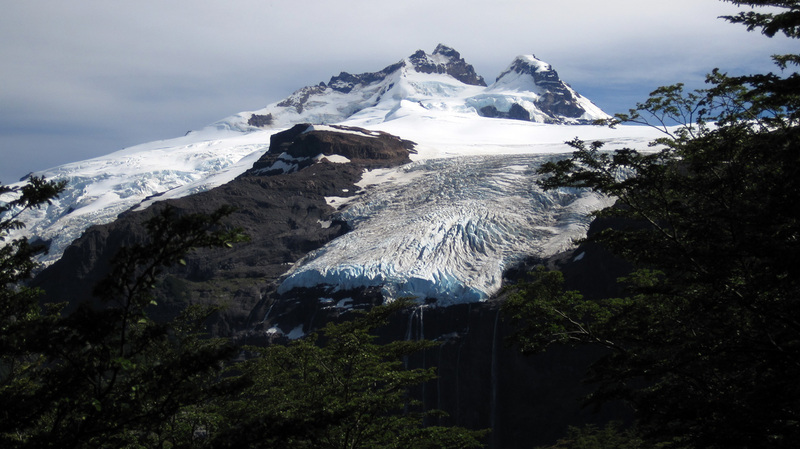 The mighty glacier of Mount Tronador. 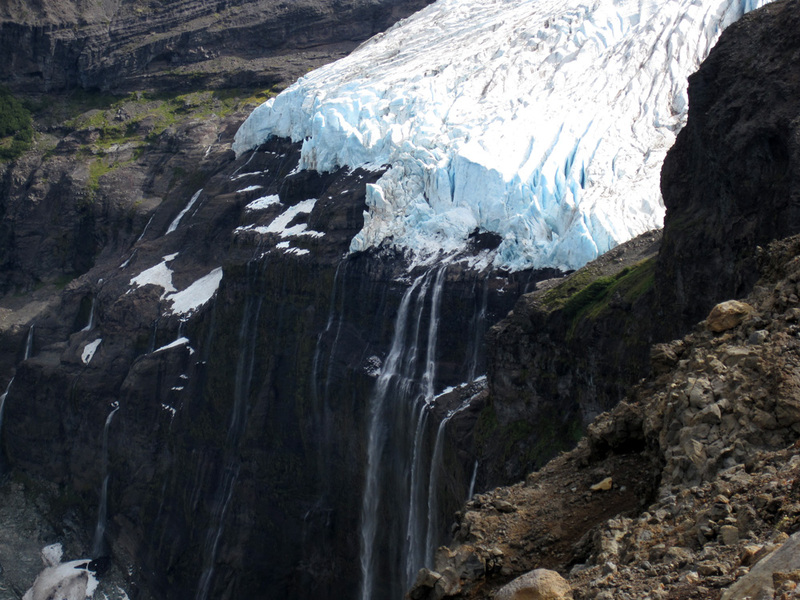 Water and ice drop off the cliffs of Mount Tronador. 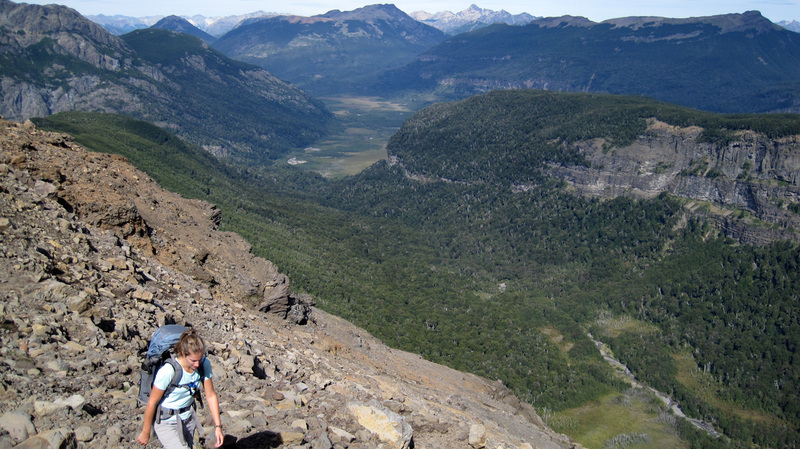 Hiking the last stretch of the 3,500 ft vertical climb – the valley below us. We finally reach the refugio right below the glacier line. The Argentinean military had set up a training base here to prepare for duty in Antartica . For 2 months the soldiers got to wake up to this. Though the soldiers aren’t lucky enough to eat in the refugio restaurant like us – this was the best refugio we’ve stayed in! The soldiers practice rappelling into the crevasses. After climbing down from the mountain, we headed over to the ultra-hippie town of El Bolsón, known for its extensive and unique arts and food market. We spent our 2 days there eating Belgium waffles, fresh empanadas and drinking artisanal beer and juice smoothies. After we’d eaten more than we should, we took a bus north to the small town of Malargue. We were hoping to do an all-day 4WD tour to the nearby national park, but our timing was unlucky. Easter weekend left the town deserted, and the tour company needed at least 4 people to fill a group – there were no other tourists to be found. 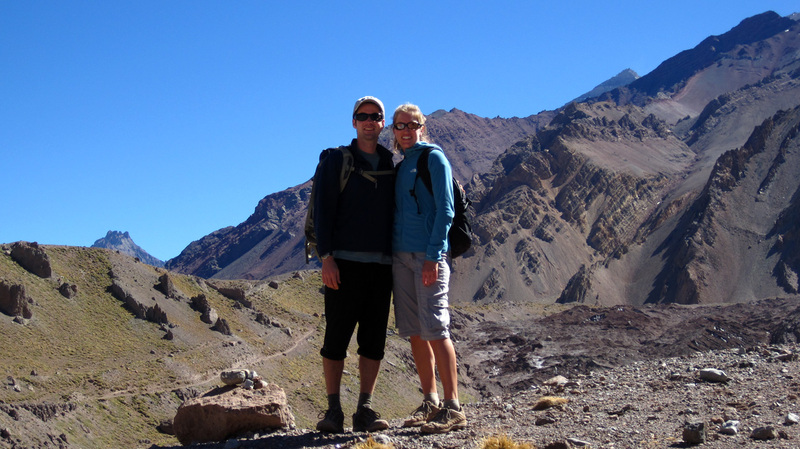 We quickly left and took the next bus up to wine country – Mendoza. 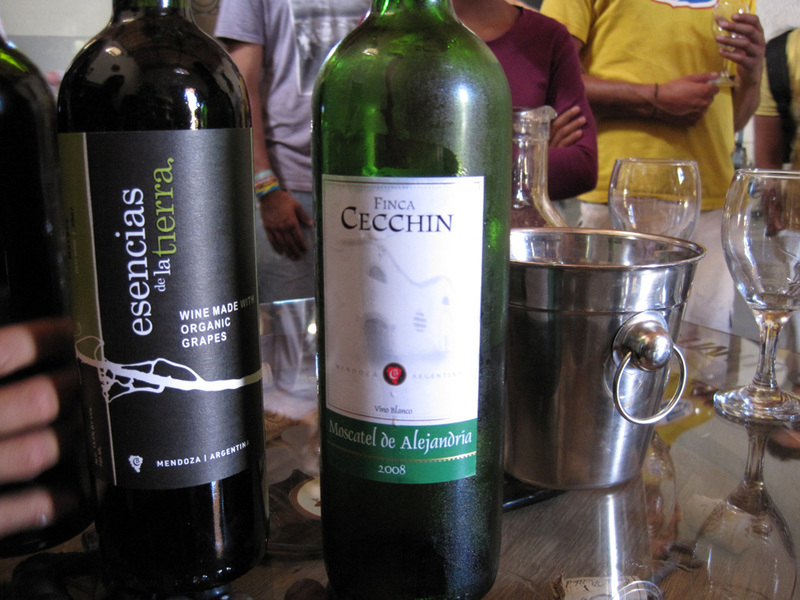 In Mendoza we did what every other tourist does – go on a wine tour. We spiced it up by choosing a wine tour that went from bodega (winery) to bodega by bicycle. It was a lot of fun! We visited three wineries, one olive oil factory and one small chocolate and liquor factory. We were given generous amounts of wine to taste, enough so that the biking in between is a little hazy. 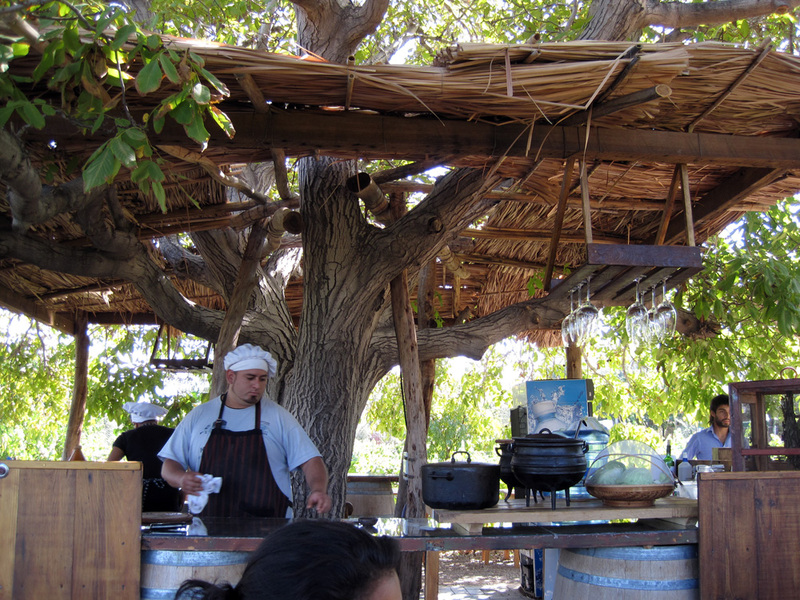 At the last bodega, which was an organic winery, they served us a delicious lunch in a courtyard right in the middle of the vineyard – it was quite picturesque. We found that a lot of the wineries export at least 80% of the wine they produce, leaving very little for domestic consumption. 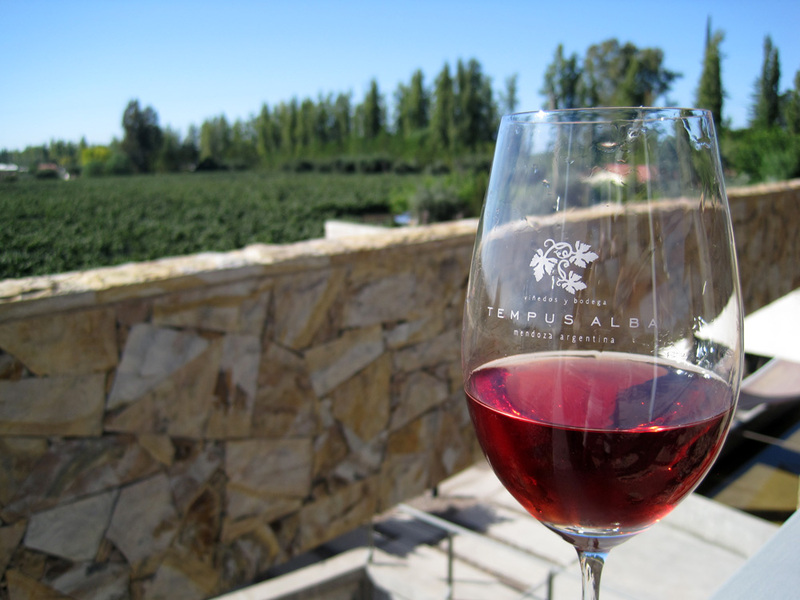 A glass of Malbec Rose at our first stop on our winery bike tour. The last winery was completely organic – we could taste the difference. We ate lunch in a courtyard in the middle of the winery. 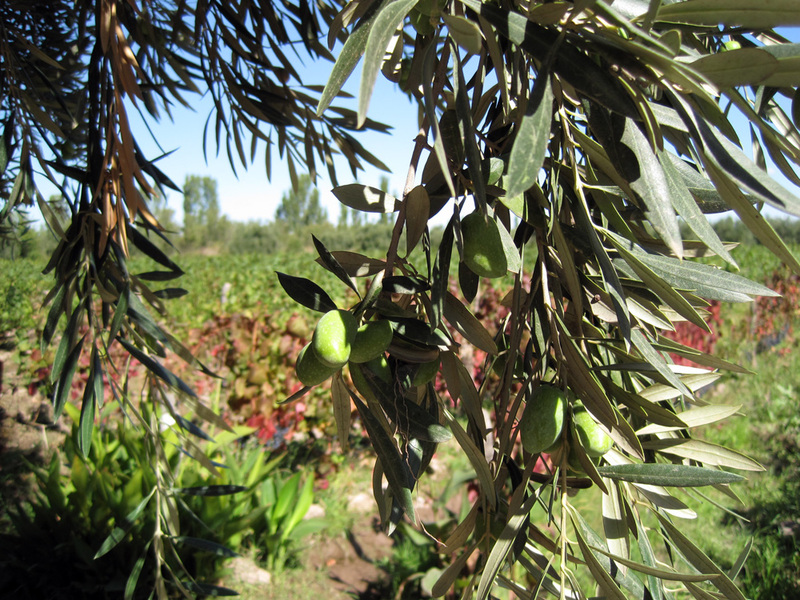 We also visited an olive oil factory – did you know that olive trees produce for 400 years? 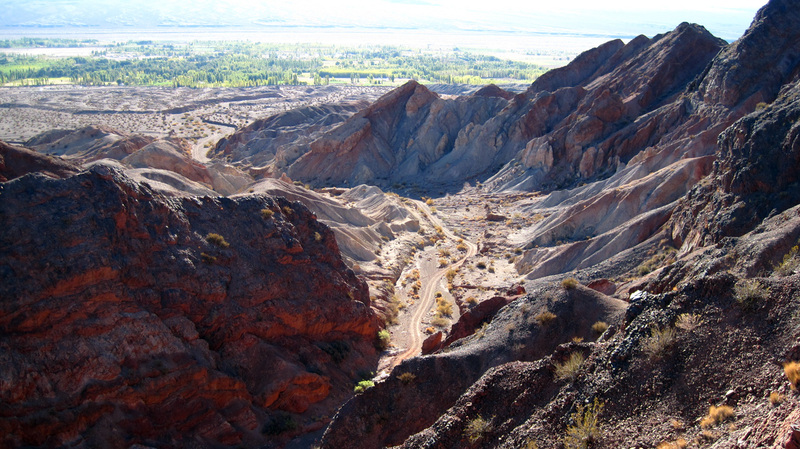 We wanted to explore the area around Mendoza a bit more, so we put public transportation on hold and rented a car for 5 days! It was a luxury for us to go wherever we wanted, whenever we wanted. On our way to the Andes, we stopped at the town of Uspallata, where the movie “Seven Years in Tibet” was filmed. The area is quite reminiscent of the Asian Himalayas with its tall poplar trees and mountains looming in the distance. We made our way deeper into the Andes passing through a series of tunnels alongside a the old Transandine Railway (with its own set of tunnels). 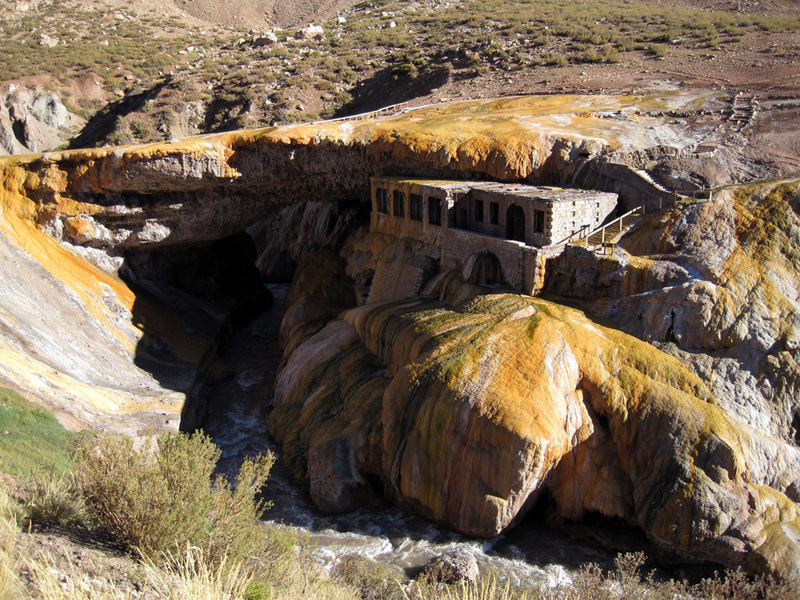 We arrived at Puente del Inca, a small village home to a natural arch forming over the Vacas River. It once was a spa resort where visitors came by train to dip in the hot springs (during the Golden Age of Bathing I presume). We stayed in the Hostería for the night, one of 3 couples in the entire building. We ended up having a great time eating and playing cards together! On the set of ‘Seven Years in Tibet’ – the town of Uspallata closely resembles the Himalayas. 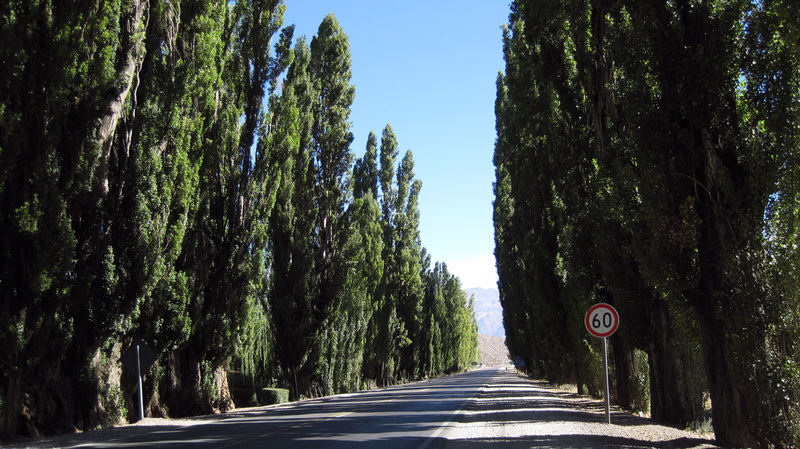 Poplar trees line all the streets. 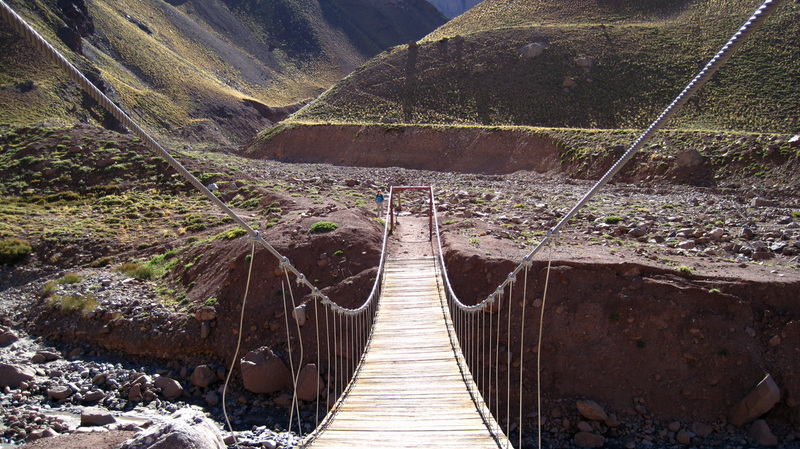 Puente del Inca – a natural arch formed by alternating cold and hot water. 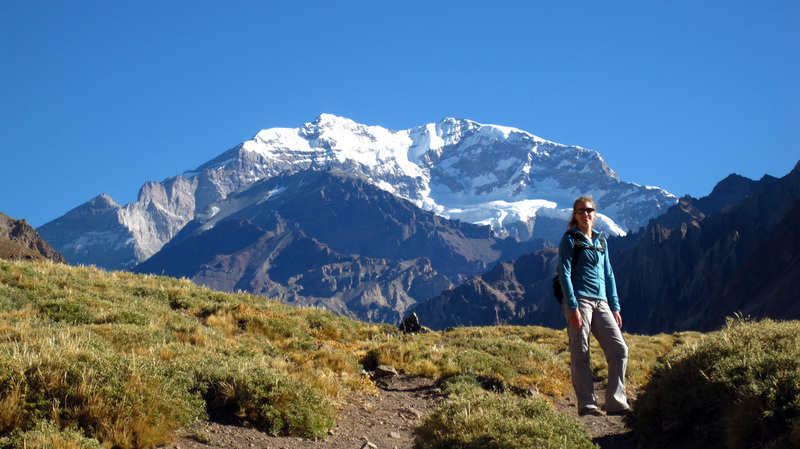 The next day we entered the Aconcagua National Park to do a trek around the mountain. It takes about 12 days to reach the summit, lots of technical gear, and not to mention a team of mules and porters to support you on your journey. 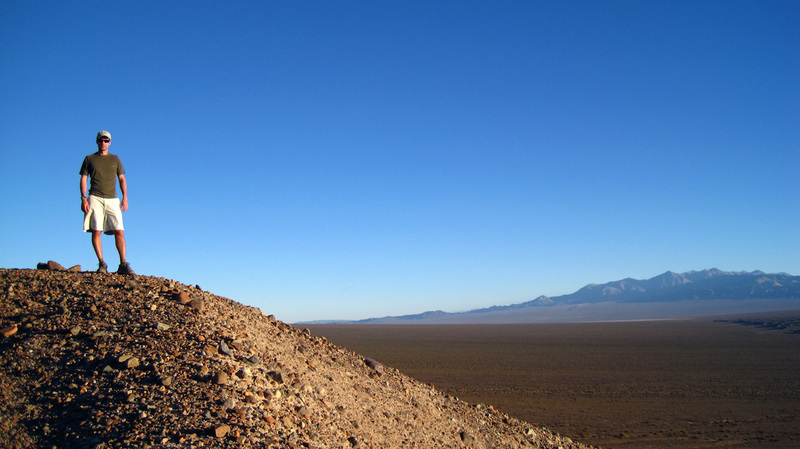 We quickly ruled out summiting the 22,481-foot mountain. Even my herculean effort to summit 19,347-foot Cotopaxi in Ecuador could not prepare me for climbing the highest mountain in the western hemisphere. Instead, we went on a leisurely 16km hike up to the confluence. In fact, we weren’t allowed to go any further since the base camps were closed due to season end. 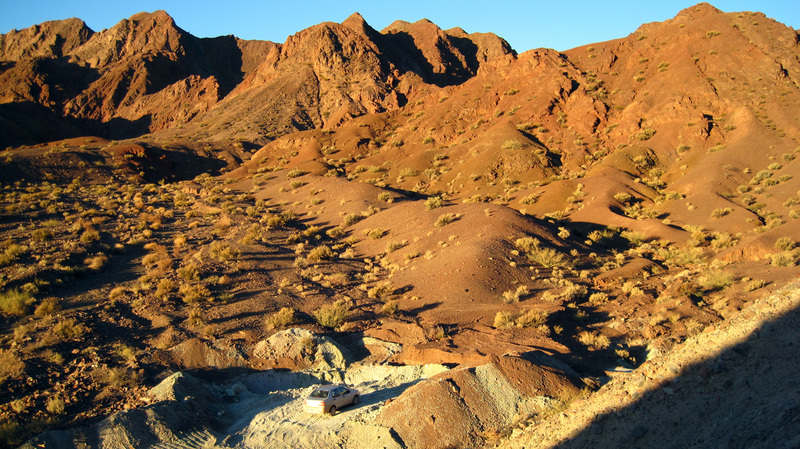 We were the only 2 people on the trail, and the park rangers even asked us to bring along a bottle of olive oil, dish soap and some batteries to hand deliver to the lone guardian at the confluence base camp. He was happy to see us. 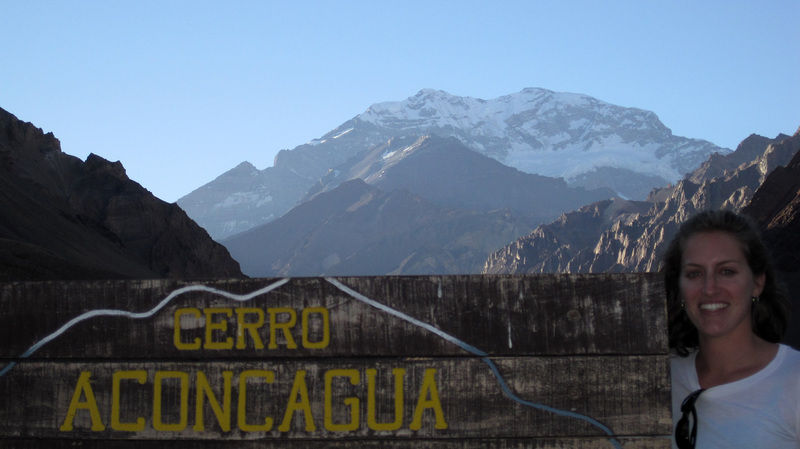 At the mirador of Acongagua – the highest mountain in the western hempishere. The setting sun illuminates the mountains and lagoons. 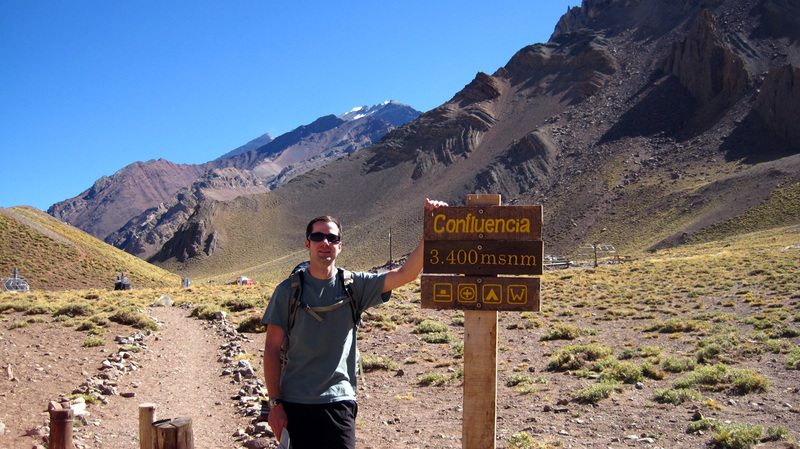 Hiking up the valley towards Aconcagua. Crossing the river on our way to the confluence. 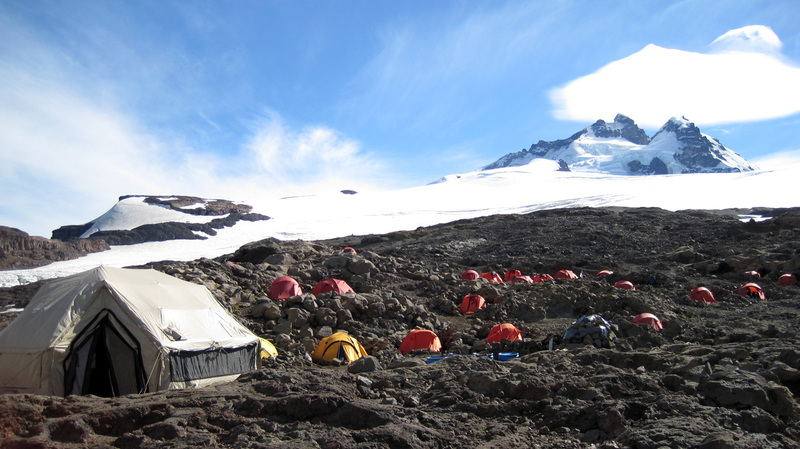 We reach the base camp at the confluence – as far as we’re allowed to go in the off-season. Although it was a gorgeous fall day, we were the only people on the trail. 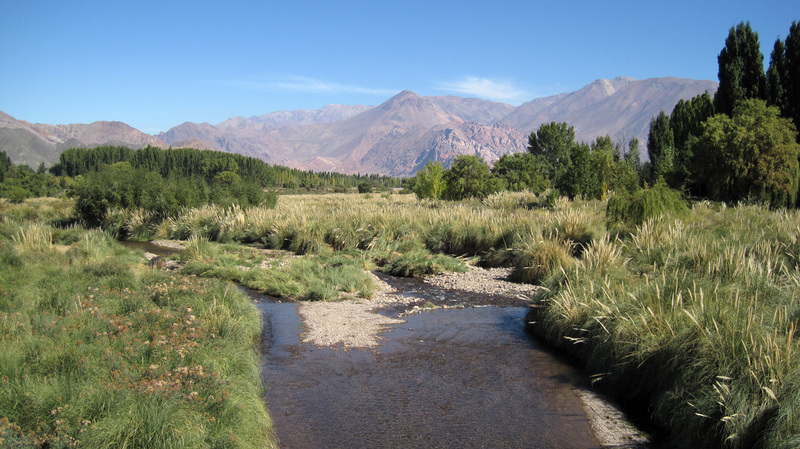 When we finished our hike, we drove back down the Andes and north until we reached the town of Barreal – a poplar-lined oasis in the middle of the desert with the Andes to the west and Precordillera to the East. We found a super-friendly hostería who offered us a cabin by the river. Again, we were the only tenants, so we had the whole place to ourselves – even the owners lived elsewhere. They brought us a complete and delicious breakfast including home-made jams, fruit, and a ham and cheese platter. Argentinean breakfasts usually consist of coffee and bread, so this was a treat. That afternoon we took advantage of our rental and did a little off-roading through the Precordillera. We navigated through the hills by car and climbed the rest by foot until we reached the ridge. Our timing was perfect – the sun was about to set, so we had gorgeous light hitting the lush town ahead and the red rocks behind. 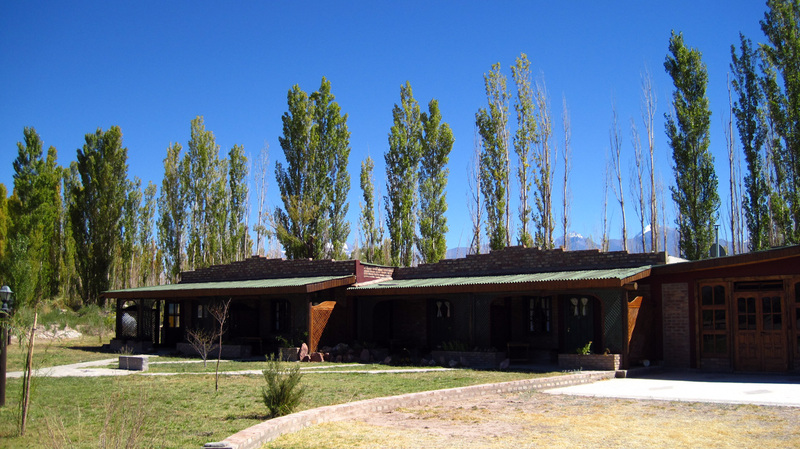 We were the only tenants in the lodge – even the owners lived elsewhere. 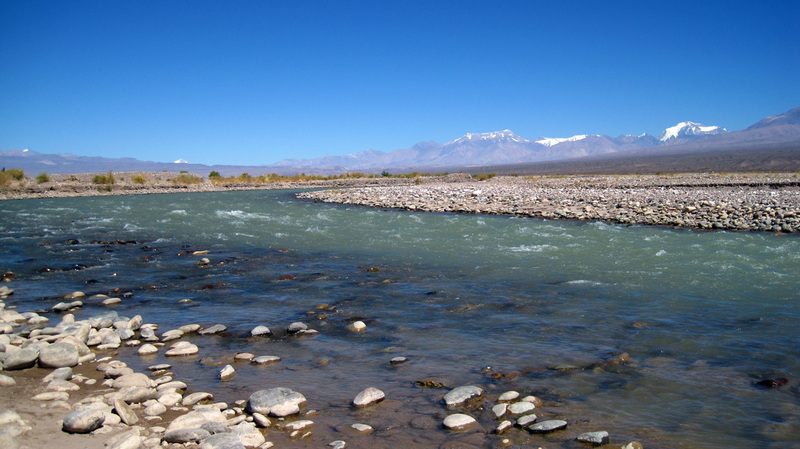 The rushing Rio de la Plata in Barreal – a microclimate in the middle of the desert. 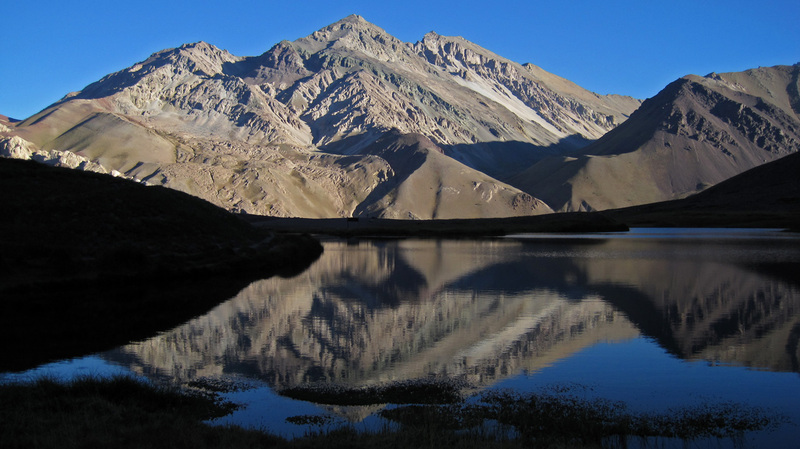 We drove east of Barreal and climbed up the ridgeof the Precordilleras just as the sun was about to set. The lush town of Barreal from our vantage point. 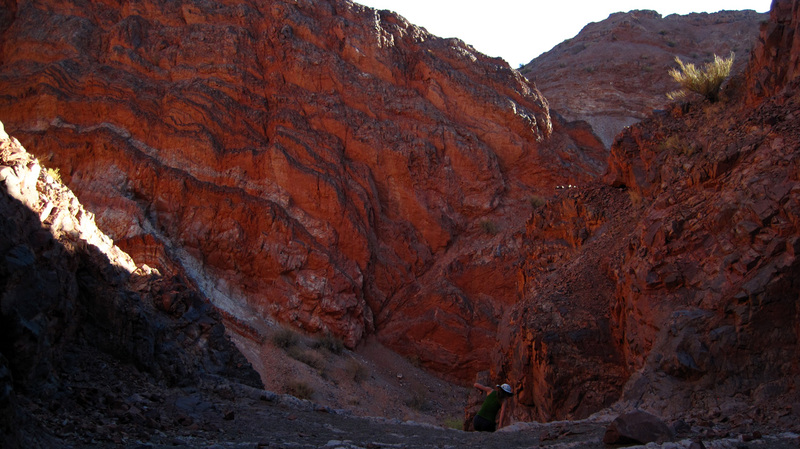 The red rock glowing in the sun. Our little Fiat did a good job off-roading. On another ridge gazing at the hills and mountains to the west. 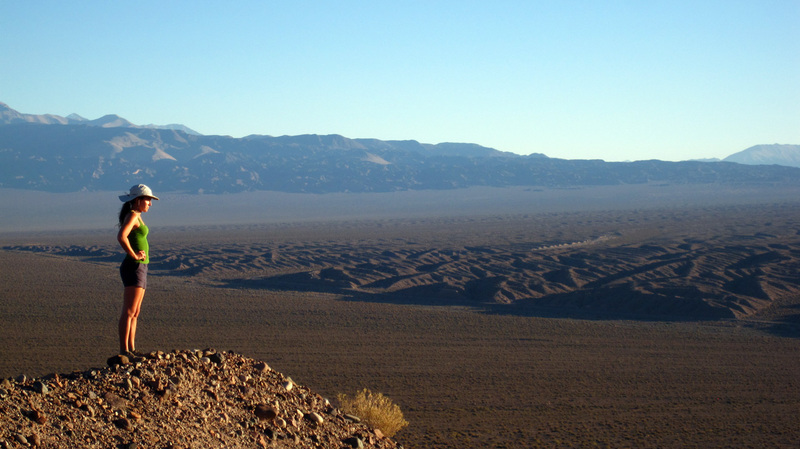 We were able to follow this ridge for a while. And there’s our car below! Beautiful! Great times with you guys down in Patagucci, but its nice to be back at work, are you jealous? I thought so. Great pictures as always! Looking forward to meeting you in Buenos Aires. Well well, you two! Living the dream! I finally gave your site a close read, and am grateful for the ride once again! With each experience filled to the max with beauty, raw energy, hard work, pleasure and God’s creation…. does it ever stop being real, and immediate? do you ever yawn at another gorgeous sunset? How do humans take in so much beauty day after day and come back to towns like Syracuse, NY? Yep, I’m gearing up for another adventure- thanks for the reminder that life is one heck of a trip! Yay. They sell microbrew at the El Bolson farmers’ market! Where to next? Hey there! Sorry I have not written a comment in a LONG time. I love all of the stories and pictures of your trip. What an amazing adventure and great memories for you both 🙂 The views from some of the hikes are stunning and remind me of Alaska and how small we really are. Hope you are both healthy and safe. When will you be back? wow, i never know what to say… the views are so breathtaking! that and, i’m sooo jealous! that’s pretty much what my comment would be every post.